We designed this article to provide 5 stress management tools that you can keep front and center in your hectic, busy life and still create that sense of calm you yearn for--five things that can keep you on track, help you lose the chaos, and experience a more productive life with the ability to think clearly and with purpose. So here we go with our top 5. This tool symbolizes your need to identify the source of your stress. Take the time to figure out exactly what is causing your stress. Maybe it’s a time crunch, job dissatisfaction or out-of-control kids. It is usually something little that keeps adding on to other things. We’ve written pages about how to take control of your own destiny, and really, that is exactly what you need to do. We hate to say this point, but no one else can do it for you. Yes, networking can help, but we will address that further down the page. 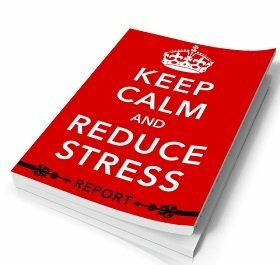 Once you have identified your source of stress you can either reduce, eliminate or manage it. This Latin phrase means “Seize the Day.” Remember this sentence in order to keep your focus on the present. Include some easy stress relief tips that you can use on a daily basis to benefit your health. A lot of people get too focused on what did happen in the past, or what might happen in the future. But this is now. Really, take a moment and look at the nature around you, listen to the sounds, and smell the roses—or the fresh air. But take the time to stop and notice that you are living in the now. 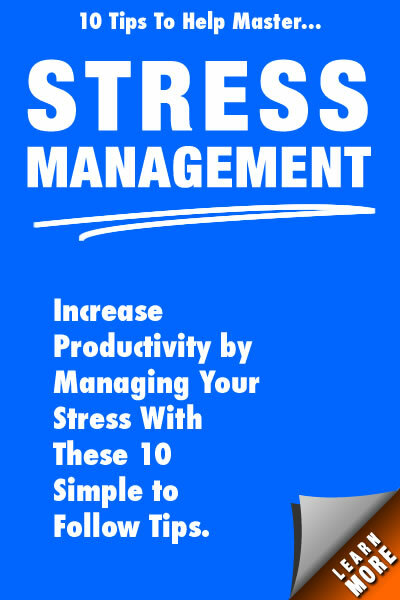 Want to learn how to reduce stress in your life? Include more laughter. Share the present time with friends; notice the beauty surrounding you. And enjoy! This book is a six-week program to help you live a healthy, energized and more focused life. It is no joke that you need to exercise daily. Exercise reduces stress for women and keeps your body working well. 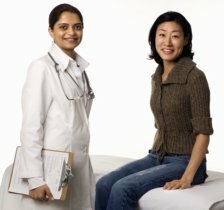 If you are looking for some guidance with exercise, review this article on An Exercise and Stress Reducing Program for Women. You also can relieve stress by eating healthy and provide your body with important sources of energy. You will look and feel better and exude more self-confidence. You need to take care of you. Read the book and follow the 6 week action plan. You will be glad you did. It is one of the best stress management tools I can offer you. For your health and well-being, lower your stress levels through exercise, good foods, and ample time to rest. Find your passion and follow it with this forth, of the stress management tools. Embrace it. Have a purpose driven life. Stephen Covey describes the “True North” guiding principles as being those values, upon which we base our decisions. We each create our own unique inner compass that empowers us to align our lives and follow our passions, based on this inner sense of direction. A lot of times, people try to copy what others are doing as a means to find happiness. You say to yourself, “If my friends like doing this type of work, so should I.” Not necessarily. Be yourself—you’ve heard that line before. One of the best stress management tools out there is simply allowing your inner compass to chart your own life course. Kids grow up and move away, and there you are! Now what? Being your own person is a real concept. Take out that compass and chart your course. Pursue your dreams and inner passions. That’s what you should embrace. A lot of people are stressed trying to be something they are not. This stress management tool may seem to be asking you to add more responsibilities to an already crowded schedule. But the calendar also is your reminder to build a support network. Share time with friends, family and anyone who is supportive of you. Even if you are feeling down and feel like isolating yourself from the world, remember that it is better to stay connected. Get fresh outlooks from people who genuinely care about you. Friendship is a stress management tool that is often overlooked. You may say that you don’t have time. Make time. Spending time with supportive network is a way to relieve stress, think about others things and enjoy their company. Stress is quickly becoming one of the deadliest, and most silent killers on the planet. Now, more than ever before, having the proper understanding of this demon is imperative. People from all walks of life handle stress differently, and it affects them differently as well. Students are studying this phenomenon more and more, like in a bachelor of science in nursing program as an example. A Workbook to Boost Your Midlife Success! Add a Little Yoga in Your Life.